These abandoned cars in the Ardennes Forest once belonged to American service men. After the war, they were responsible for shipping their vehicles back. 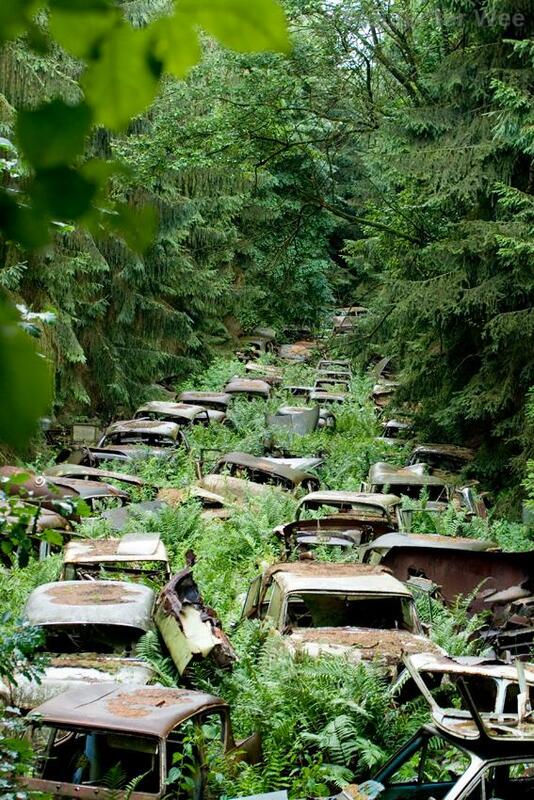 Many of them could not afford to do this, so the cars were brought to a clearing in the forest, parked and left there.